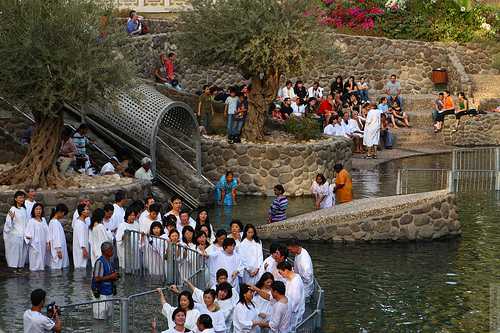 Discover the Holy Land via Faith-Based Travel on this affordable tour through Israel. Israel has some of the most ancient biblical and fascinating modern sights in the world. Enjoy sightseeing tours in Tel Aviv; Jaffa, believed to be one of the oldest ports in the world; Caesarea, one of the most spectacular cities in ancient Palestine; Megiddo, where you’ll admire the ruins of the fortified town; Muhraqa, where the Bible says the prophet Elijah confronted the prophets of Baal; Bet She’an, one of the world’s best-preserved Roman cities; Haifa; Capernaum, home to the apostles Simon Peter, Andrew, James, John, and Mathew; and Jerusalem. Thanks to our Get Out & Give Back from Globus and Personalized Services International Travel Agency’s Faith-Based Travel Referral Programs, group travel with Group Travel Agency can also be a way to raise funds for your religious organization. Depending on the size of your group, we’ll make up to a $1,000 or more with the combined programs contribution to your church upon completion of travel. It’s easy to sign up and even easier to earn the donation. Just go as a group! Faith-Based Travel is a way to raising money and have a life changing experience! Do your current Travel Agency or Online Booking Website Company pay you, your church for traveling with their company? We know they do not! We Have Created What We Consider To Be The Easiest Way for Religious & Faith-Based Organizations to raising money doing the things we all love to do TRAVEL! Did we tell you our travel donation programs are FREE? If your religious organization is not signed up and using our services you are missing out on $1000’s of dollars in FREE donations that can help grow your ministry? It only takes 5 minutes of your time, a pen, our application and you putting your trust in our company to help your ministry grow.